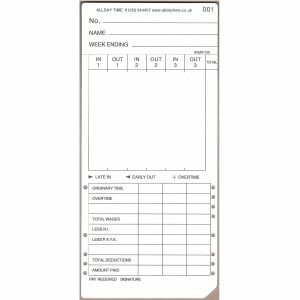 Weekly Clock Cards for the Quickclocks QC400 range of clocks. Eco Cards – made from recycled paper. 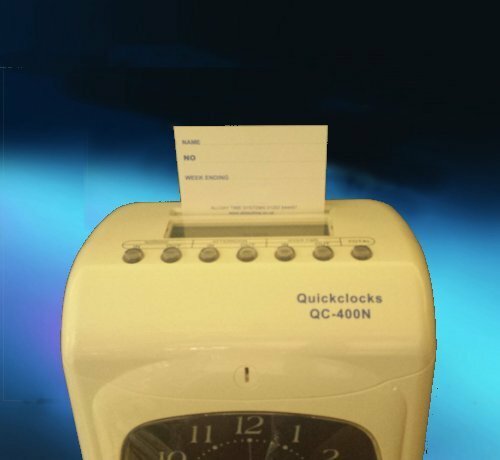 Weekly Clock Cards for the Quickclocks QC400/ QC500 range of clocks. Eco Cards – made from recycled paper. Amano EX or BX, LD5000, Seiko QR350, Seiko QR550, Seiko TP100/200. Not suitable for Seiko QR375, Seiko QR395 or QC200 – please see the Product Page for suitable cards for these machines. 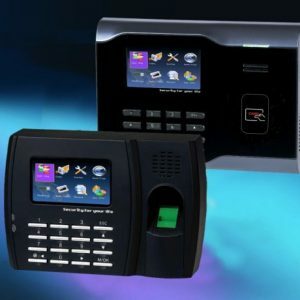 Fingerprint Biometric clock +WiFi From £209 . 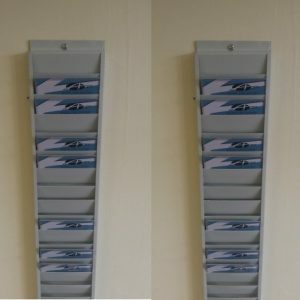 Metal card rack – 25 slot credit card size horizontal display. 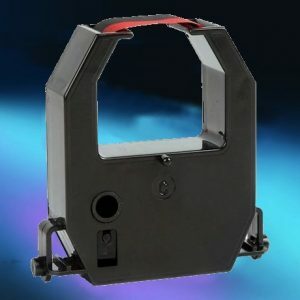 Replacement Print Ribbon Cassetes for Time Recorder Clocks and Date Stamps. 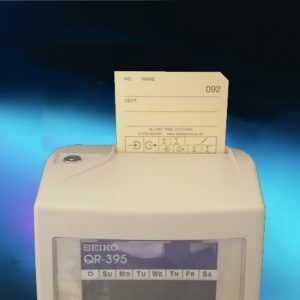 Seiko QR375/395 Clock Cards Bar coded clock cards supplied in packs of 100 numbered 1-100 suitable for use in Seiko QR395 or QR375 calculating Time Recorder Clocks. £7.40 per pack. Free print ribbon with 1,000 cards. Not suitable for any other model of clock. Fits model numbers ER-1100, ER-1500, ER-1600, ER-2100, ER-2200, ER-2500, ER-2700, ER-3100.